If you thought that you were the only one who was having a problem with the lack of space in their homes, then you were wrong. The lack of space is probably one of the most common issues modern families face nowadays. Some deal with that problem by simply ignoring huge piles of rubbish, and stuff that nobody ever uses. Others give it away or throw it. However, what if among those items there are some you are particularly fond of, but that really doesn’t fit your home? Then, you should look for Boston storage and make a good use of such a convenience. Premium Q Moving & Storage operates state-of-the-art, secure storage facilities in the Boston area. Our climate-controlled storage units are secured by surveillance cameras 24 hours a day, seven days a week. Premium Q’s dedicated staff ensures your belongings remain in immaculate condition through implementation and use of video surveillance, alarms, fire suppression and more. 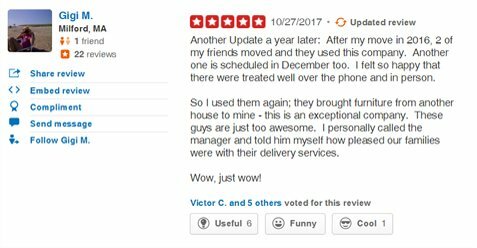 Our convenient location can be easily accessed by customers Monday through Saturday between 8:00 a.m. and 5:30 p.m.
Why do people use storage? We have already mentioned a few reasons. The truth is, the range of benefits is really huge. People tend to use storage not only when they’re facing a problem with little available free space, but also when they are relocating locally, for example, or traveling. Now, when it comes to these situations, renting a storage unit will be something that could really help you a lot since it will give you a better perspective of what belongings you should take with you and which will stay. Furthermore, storage will be your great assistant in times when you are planning to downsize your house, moving or remodeling your office, or when a new family member is on its way. So, if you see yourself in any of these reasons, or for any other, don’t think too much, but start searching for the perfect Boston storage that will fit all your needs. The first step is done. You have made your mind and realized that storage is what you need. The next step is to determine the type of storage unit that will satisfy all the criteria. Therefore, in order to find one, do make sure to have the exact number of items that will be stored. You see, when renting storage, it is not just enough to take one where those boxes and other stuff you’re storing will just fit. What about after that? What if, at some point, you require a certain item from storage but you simply can’t reach it? That is why one of the most basic rules of renting storage is to carefully measure everything. Based on that, you will be able to make a good evaluation of a storage unit size that you truly need. Is it accessible at any moment? Once you determine these and other relevant details, take the further steps towards renting a storage unit, and our company will be there to support you all the way. In case you are not sure how to exactly determine the type and size of storage you need your Premium Q Moving and Storage Boston will be there for you. During the long years of experience in this business, we have developed a system which allows us to make a precise yet quick evaluation of our clients’ needs. All you have to do is tell us your requirements, and the rest is on us. We do not offer you whatever, but we truly look for providing you with the best possible service we can give. 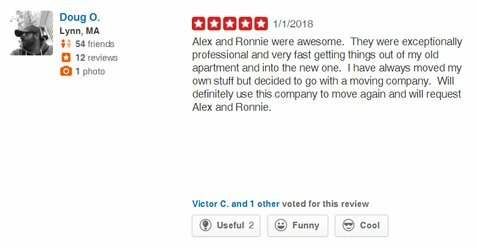 To be able to provide you with all Boston moving services we can present you with, we advise you to contact us as soon as you decide you need a storage unit. Time will allow us to inspect the whole situation in details. More importantly, we will be able to give you exactly what you need. We invite you to come over to our offices to meet our friendly customer representatives and find out everything you want to know regarding our services. By knowing you more will give us a better idea of what you need. Affordable short-term storage options make our Medford storage units an attractive option for students in the Boston area looking to pack away their belongings for the summer or a semester overseas. Our units are clean, climate-controlled, and monitored 24/7. Premium Q Moving and Storage completes a detailed inventory for all items coming to storage. This inventory contract acts as a condition report for your belongings. The completed inventory must be signed by the owner of the items or by a designated individual responsible for the move. Items in our Boston area storage units can be accessed Monday through Saturday between 8:00 a.m. and 5:30 p.m., with a 24-hour notice.